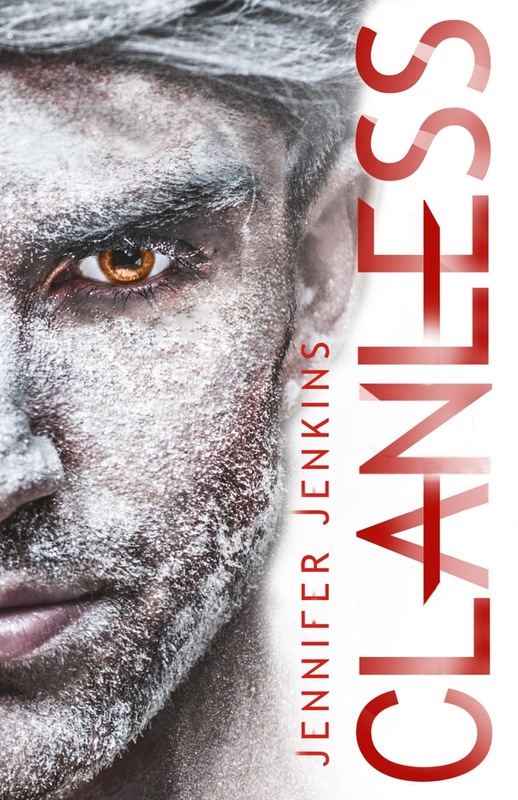 Today Jennifer Jenkins and Month9Books are revealing the cover and first chapter for CLANLESS, book 2 in the NAMELESS Series which releases October 4, 2016! Check out the gorgeous cover and enter to be one of the first readers to receive a paperback of NAMELESS or an eGalley of CLANLESS!! Clanless is Gryphon's story in the way Nameless was Zo's. It encompasses the struggle of self discovery and taking the hard road to find happiness. At its heart though, this book is a love story, with two people determined to fight overwhelming odds, even death, to be together. Clanless provides readers a view of the world outside Ram's Gate, exploring both the Raven and Kodiak Clans in more depth. I LOVE THIS COVER. I love the way Gryphon is depicted and the symbolism of of the white background in contrast to the black of the Nameless cover. I personally think the series only gets better with every book, and I hope readers agree. Striker Gryphon has lost his position of honor among the Ram, and is now a hunted man. A traitor. Zo, the object of his affection, was murdered by members of his former clan. To honor her memory, he journeys to the highly secretive Raven “Nest” to warn strangers of their impending demise—though it could cost him more than just his pride. As each struggle to make sense of what their lives have become, they fight and claw to reach the Allied Camp, their last hope in bringing peace to the region. But the road back to one another is treacherous and uncertain. And freedom will come with a price. Gryphon never thought he’d die at the hands of the Ram. Of course, he never thought he’d become a traitor to his clan, either. He awaited a likely public execution, sitting in a patch of mud outside the walls of Ram’s Gate, his clan’s stronghold, as rain filtered through the trees overhead. Bristled ropes rubbed raw his bound ankles. Iron manacles secured his wrists behind his back. Gryphon clutched the hidden key to his restraints inside a bloody fist and glared at a man he never thought he’d call an enemy. Zander, Gryphon’s captain, stood at attention as the rain rolled off his brown hair and banked along the harsh angles of his cheekbones and jaw. He held a seven-foot spear like a walking stick, the blunt end buried in the mud at his feet. His short sword was sheathed at his hip, his round shield slung across his back. The perfect Ram warrior, and one of the best swordsmen Gryphon had ever known. The fifteen members of his mess sat like stones in a field, unmoving but hard and very present. Most of Gryphon’s former mess, including his best friend, Ajax, kept their backs to him, as if his treason were contagious. Some slept under thick wool blankets that repelled the rain while others stewed with the restlessness that plagued so many warriors. No one bothered to light a fire. Whether they were too impatient to find something dry enough to burn or felt they deserved the cold, Gryphon didn’t know. Ram were experts at self-discipline—not to be confused with self-control. Inside Ram’s Gate, Gryphon grew up training every day until his body ached. On days he struggled to do everything his leaders asked of him, he would sentence himself to mountain sprints until he literally passed out from exhaustion. Like every other Ram boy, he willingly walked into scheduled yearly beatings that were meant to train his body to block pain, making him nearly invincible on the battlefield. A little rain was nothing. Sitting cross-legged in the mud with his hands chained behind his back, Gryphon let the rain muffle the sound of his struggle to insert the small key into the unseen lock of his manacles. Each metallic scrap wound his nerves that much tighter. His wrists burned from bending at an awkward angle and his shoulders strained as he struggled to keep his face a mask of indifference. Zander watched him, barely blinking. Gryphon needed to distract him—to break his intent focus. 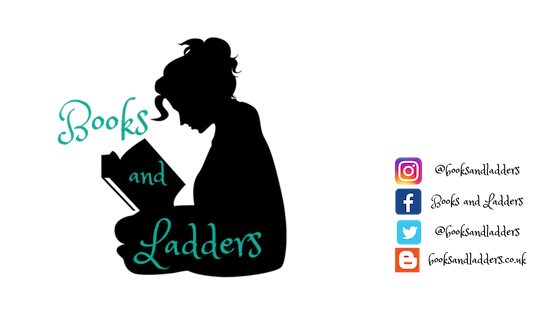 “Why do you think they haven’t let down the rope ladder?” Gryphon asked, speaking as though his impending execution meant little to him. Gryphon adjusted his grip on the key to approach the lock from a different angle. “It seems Barnabas is content to let you sit out in the cold for the night. Do you think you’ll lose your command over this?” Gryphon raised his chin and smiled. Zander drew a knife so fast Gryphon fumbled with the key. Gryphon had been trained to use the emotions of his enemies against them. People made mistakes when they weren’t stable. Plus the conversation muffled the sound of the key scraping futilely against the metal lock behind his back. A few of the heads in the wet camp turned to watch the exchange. Just yesterday, Gryphon had inadvertently helped hundreds of Nameless slaves flee the massive walls of Ram’s Gate. To slow the Ram pursuit, he disabled the only exit—a gate so large it required forty Nameless to open it. Even though only a fraction of the Nameless slaves escaped, it would be days before the chain connecting the gate to the counterweight could be repaired. The key finally slipped into the lock. Gryphon let his head fall back, just a fraction, and closed his eyes in relief. Zander’s hate-filled gaze greeted him as he opened his eyes, but that didn’t stop him from turning the key. The lock clicked open, the sound lost in the rain. With one hand free, Gryphon still kept both hands behind his back, though he relaxed his shoulders some to alleviate the ache from being bound. The metal key in Gryphon’s hand was warm. The grooves pressed uncomfortably into his palm, but Gryphon didn’t loosen his hold, refusing to let go of the hope Ajax had given him. Not only was the key his only chance of escaping the certain death that awaited him inside the giant walls of his clan, but it also represented a dim hope that Zo was still alive. That Ajax—Gryphon’s best friend—hadn’t followed through with Zander’s order to find and kill her and the others after Gryphon’s capture. The vivid scenes of the morning replayed in Gryphon’s mind again and again. Everyone asleep under the tree, except Zo and Gryphon. Ram circling the perimeter of the giant fir like bloodhounds sniffing out prey. Zo taking his hand, pretending to be brave even though her eyes—they were always so easy to read—proved it a lie. Her warm lips. The feel of her body pressed against his . . .
A shudder that had nothing to do with the cold ran up Gryphon’s back. He’d been captured not far from the tree, trying to lead the Ram away from the people he cared for most. If only he could ask Ajax if they were alive, though the chances were as likely as staying dry in this storm. Ajax had a family to protect, and the penalty for deceiving his captain was as deadly as deceiving Chief Barnabas himself. Dangerous. Lightning struck not far away, brightening half of Zander’s face in the fast-approaching darkness. “Come back to me,” Zo had said, just before she’d leaned into him, touching her soft lips to his. Gryphon slid the key into the second lock. He chewed on the inside of his lip until he tasted blood. He fought the urge to spit in Zander’s face, to unlock the chains binding his wrist and strangle him with his bare hands. He was sure he could finish the job before he took a spear to the gut. It felt like the only way to quench the hungry blackness that consumed his insides. Gryphon hung his head, remembering the promise he made to Zo before they separated. Whether Zo was alive or not, he needed to survive to warn the Raven Clan of an impending attack. Countless lives would be spared if the Raven had time to flee the Nest before the Ram arrived. Getting himself killed wouldn’t serve them, even if it meant an escape from the overwhelming ache in his chest. Thunder rolled again. Zander stared. Gryphon prayed for a miracle . . . and hoped he deserved one. But his manacles clattered to the ground before he could catch them. “We’re not waking him.” Zo’s head throbbed as she held Joshua’s wrist to check his pulse for the tenth time in as many minutes. The boy lay unconscious, but his heart beat a steady rhythm. Zo needed to feel that pulse; it was her tether to sanity. The sound of Ram fists connecting with Gryphon’s body . . . the muffled grunts betraying his pain . . . they still echoed in her mind when she didn’t check her thoughts. From her hiding place, she hadn’t seen Gryphon’s capture, but she had heard. She’d wanted to run out and fight alongside him. Even though she had Joshua and Tess to think of, her inaction tasted like betrayal. Rain fell all around them, but they’d managed to stay mostly dry beneath the skirt of a giant fir tree. “This is insane,” said Eva. She had the long nose of her Ram ancestors, set off by a thin mouth. “Do you have any idea what will happen to us if the Ram come back here?” Eva lay flat on her stomach—all leather and long legs—as she scanned the ground outside their fir tree haven. Eva was a Ram, just like the soldiers she feared. She’d fled the Gate with Zo for the sake of her unborn child. A baby who would have been killed at birth because it belonged, not to her betrothed, but to a man in the Ram’s slave class known as the Nameless. Zo conceded the point. At that moment, hundreds of escaped slaves traveled to get as far from Ram’s Gate as possible to protect their newfound freedom. They didn’t know how to find the Allied Camp. Zo had told Stone, Eva’s lover and the leader of the Nameless rebellion, it was south of Ram’s Gate, but that was the extent of their knowledge, and it wouldn’t be enough to find the slot canyon that led to the Allies. The Nameless needed her. So did her little sister Tess, Joshua, and even Eva. None of them would survive without Zo’s ability to lead them to the Allies. But it didn’t change the fact that all Zo wanted to do at the moment was sprint up the mountain to Ram’s Gate—the place from which they’d just escaped—and demand the release of the young man she’d come to care for. The man who’d saved her life and the life of her sister, even though doing so had caused him to lose everything. Zo’s little sister, Tess, sat like a watchdog beside Joshua’s head, playing with the boy’s red hair. In the low light, she looked even smaller than her eight years. “Zo’s smart. She knows what to do,” said Tess. She was blond with dirt smeared across her nose and cheeks. She glared at Eva with her giant blue-green eyes, almost daring her to contradict her big sister. Zo hugged her knees to her chest, fighting a sudden surge of nausea, hoping Tess was right to trust her so completely. “Someone’s coming,” Eva hissed. She pushed up onto her knees, wielding two deadly looking knives. At the same time, Zo yanked Tess to the ground and threw herself over her and Joshua’s body. It was a futile effort to save them, but fear took over all rational thought. Soft footfalls crept outside their shelter, each step marking the final moments of their lives. Zo glanced around for some kind of weapon or stick to help defend the two people—two children—for whom she was responsible. All she found in the darkness was a bed of dry pine needles and her medical satchel—nothing to defend them against fighters from the deadliest clan in the region. The footsteps came closer, muted by the soggy earth. Eva moved from her knees to the balls of her feet, a compressed spring ready to fly into an attack. She adjusted her grip on her knives. Hope fled. Zo couldn’t catch her breath. Tess. Joshua. Eva. The Nameless. Dying today under this tree meant the deaths of so many others as well. Gryphon’s sacrifice had been in vain. Large boots stopped mere feet from Zo’s hiding place. Boots she’d recognize anywhere. “Don’t,” she cried, trying to stop Eva before she attacked. But her warning was too late. Eva sprang, blades in hand, aimed at the intruder’s chest. 1 winner will receive a paperback of NAMELESS, US Only; 3 winners will receive an eGalley of CLANLESS, International.